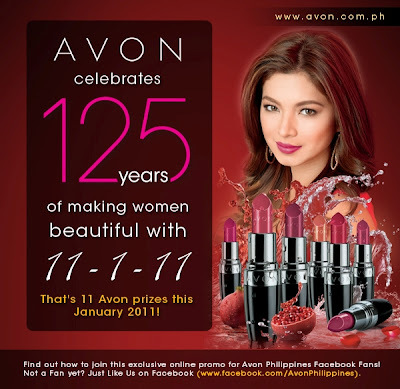 The Uncurated Life: Avon's 125th Anniversary Contest! Just a head's up, guys! Avon just informed me of their ongoing Facebook contest for 125th anniversary. Wow.. I didn't realize how long Avon's been in the beauty industry. And they are sharing the blessings to all of their patrons by giving away an Avon Colour Gift Pack. thanks for this :) will be checking it out!